Barry has written about the ways people have tried to relieve him and those he knows, of their retirement funding. I will try and do the same but from a different base. My first tale is that of the Landlord and the new shopping mall. As a farmer, I used my own buildings to conduct business. However, in the urban environment, few have the financial power to buy the place in which they conduct business. For this reason, they rent from a Landlord. When we left the farm, and after we had taken time to rest and recuperate, both my wife and I realised we needed to keep active and both wanted to continue working. We considered a number of options and, finally, decided to get back into the hospitality business. We looked around and found one suitable place/business that required some meaningful revamping and updating. After investigation and some detailed examination, we made an offer on the business, which was rejected. As part of our research, we contacted a franchise to find out what the going price was. We based our offer on the information we gleaned. Once our offer had been rejected, we sat back and waited for something to come along. Out of the blue, the franchise contacted us with a view to us buying a franchise store in a “soon to be opened” shopping mall. We were interested and met with the franchise management. After a successful meeting, we were impressed and asked the new business manager for a copy of his business plan. It was my opinion that he should know more about the business than me so his plan would be closer to the truth. There was not much that was, in reality, further from the truth. For example, the projected 2ndyear income we managed to reach in year 5, and there were other hard lessons to learn. We started operating the business under the direction of training staff from the franchise and boy did we learn. It took some months before we had fallen into the scheme of things, but we persevered and, after time, had a very nice business growing. From the day we opened the business to the day the mall was finally complete, was a period of some 5 months. During this time we battled to attract customers or to make ourselves known to our customer base. We pressed on, always keeping in mind the “teething period” which seemed to be never-ending (even today the mall is almost never free of workmen servicing or repairing some aspect of the building). Eventually, after 5 years, we moved the business into the “black” but, shortly thereafter, the mall underwent a major rebuild and remodeling. When we were advised of the intention to start this exercise, I wrote a letter stating that we would expect a 50% drop in income. In fact, I was being overly positive, our turnover dropped by 83%. The effect of this forced us to close the business and recover what we could. Do your own business plan, never trust others. If you need advice, find a professional with experience in the industry and seek their advice. Remember that, in business, advice is worth as much as you pay for it. Both Franchisors and Landlords are in business to make money for themselves. Do everything you can to make certain they do not make it from you. Have fun in whatever you do but particularly in any business you start, it keeps you young and happy. A new shopping mall is normally opened for business when it is between 50 and 60% complete. 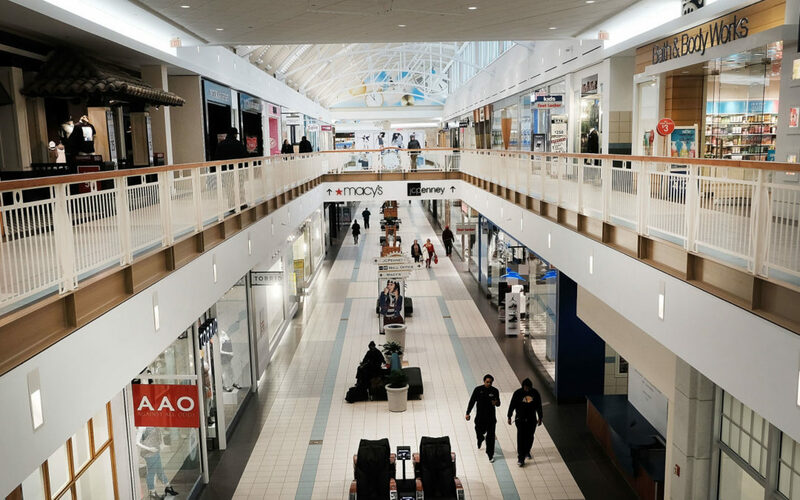 The more leases that start generating revenue for the landlord the better as they, generally, only start the payback process once the mall is complete.